Every woman knows another woman – or two or three. Figuring out a way to harness these relationships is critical when you need Womens Ministry Ideas. There are usually a few reasons that a ministry needs to be enhanced. Thefirst is that there aren’t enough ladies willing to participate. The second is that there aren’t enough events to keep them engaged. Finally, it could be that you’ve already got the other two in place and that the events are just plain boring. None of these are acceptable, so you need to be proactive. about it, then start one. Or, go online to create a Facebook page. Better yet – do both. 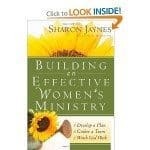 Need women’s ministry ideas for your group? No one will come to your events if they don’t know about them this goes for the best Women’s Ministry Ideas. A Facebook page is free to create and you can make a basic one in about five minutes. Encourage the entire congregation to get on there and “like” the page. Show them the benefits of doing so. You can post events, photos from past ones and much more. Plus, you are likely to get some new members out of the process, too. Next, start scheduling events. Frequency is the key to enhancement. No one wants to be a part of a ministry that only does stuff when it’s convenient. They want to be able to count on a specific day of the week or month that they can dedicate to attending the events. Start out slow. Talk it over with the women who show up to find out how often they want to participate. Once a month is a minimum. When planning an event or church get together, what could be better than to entertain the congregation with a fresh and funny comic or an inspirational testament and song? 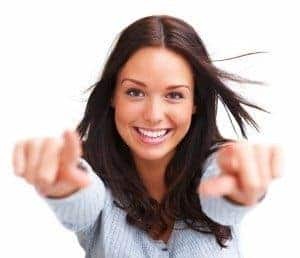 Having a live speaker, comedian, or singer to deliver a message are great ideas for Women’s Ministry to bring people together. These entertainers share their most touching and personal circumstances so that others can see and experience the inspirational words from a fellow believer. These moving stories come directly from those who have found the true meaning of having faith and have risen above their individual or devastating circumstances. Leanne Morgan brings the views of the struggles of a motherhood to the stage. She offers personal experiences and insight into her marriage and family. She is a naturally funny storyteller who gives an honest look at suburban life and the challenges of being a mom. When looking for ideas for women’s ministry, Leanne is a devoted mother who is willing to share her trials and tribulations with a comedic twist. Leanne delivers the message of the importance of motherhood and having faith to get through each day in her hilarious stand-up routine. Tammy Trent is a musician who shares her life and music experience through her music and her story. Her tale of tragedy and overcoming personal obstacles while still keeping her faith and devotion will touch every ear it falls upon. She considers herself a vessel through which God delivers the message of not giving up and keeping faith alive. Tammy’s testimonial will fit in perfectly when you are looking for ideas for women’s ministry. Leah Darrow is a young woman who is famous for appearing on America’s Next Top Model. Her time in New York led her to engage in a un-Christlike behavior. She has turned her heart to God and is actively spreading the word of overcoming demons to embrace the word. If your ideas for women’s ministry include a touching story of revelation and hope, Leah Darrow has the perfect inspirational testament to share. Kelita is a popular singer, songwriter, and inspirational speaker. She shares her tragic and inspirational story of overcoming a tremendous amount of loss she has encountered in her life. In her tale, she tells of how she found music, the loss of family, and the strong devotion, which kept her going during these trying times. She combines her captivating and moving the story with touching and compelling songs. For an entertainer who delivers a message with a song, Kelita is certainly one of the great ideas for women’s ministry gatherings. Bringing together a community of people who share a common thread such as overcoming tragedy, oppression, and personal demons can create an environment of fellowship and understanding among the group. Enlisting in one of these moving speakers will indeed touch the congregation in a profound and meaningful way.